In 2015, a Sacramento woman was arrested and faced up to six months in prison for letting her young son play alone at a playground 120 feet from her home. In Maryland, two parents were investigated by Child Services after they let their kids play in the neighborhood park alone. In Texas, a stay-at-home mother was arrested for letting her children play in their cul de sac while she was watching from a lawn chair in her front yard. And in Florida, a mother was arrested after she let her kids play in a park while she went to a food bank. There's an emerging pattern in America of states broadly interpreting child neglect laws, and parents are being arrested just for letting their kids have the freedom to roam and play. I'm a parent living in California and I believe the criminalization of parenting decisions like this is insane. Violent crime is at an all-time low, and studies show that allowing children to take risks is good for them because it increases their resilience. 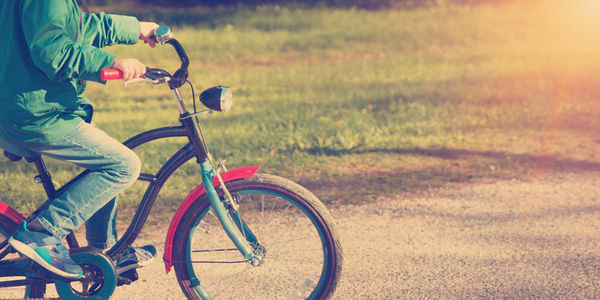 A professor of early childhood education at Queen Maud University College found that children need sensation and risk; if they can't feed that desire in a normal way, like biking alone, they may turn to even more reckless, dangerous behavior. There's absolutely no reason to send parents to jail simply for allowing their kids a reasonable amount of freedom. Utah just passed a law that makes it explicit that activities like letting your child play at the park or wait in the car won't lead to parent criminalization. California needs a similar bill. Please sign this petition if you want to see California pass a parent's bill of rights that will prevent parents from being criminalized for letting their children engage in normal behaviors, like playing at the park or riding their bike alone.